August | 2011 | Pray for Revival! 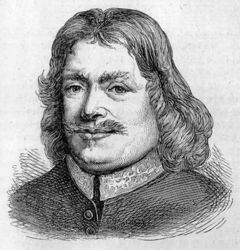 John Bunyan: We Must Kneel and Pray and Read of God’s Word! Read and read again, and do not despair of help to understand the will and mind of God therein, though you think they are fast locked up from you. Neither trouble your heads though you have not commentaries and expositions; pray and read, and read and pray; for a little from God is better than a great deal from men. Also, what is from men is uncertain, and is often lost and tumbled over and over by men; but what is from God is fixed as a nail in a sure place… There is nothing that so abides with us as what we receive from God; and the reason why Christians at this day are at such a loss as to some things is, that they are contented with what comes from men’s mouths, without searching and kneeling before God to know of Him the truth of things. Things we receive at God’s hands come to us as truths from the minting house, though old in themselves, yet new to us. Old truths are always new to us if they come with the smell of Heaven upon them. We Must Pray in Spite of Satan! O brother (and sister), pray; in spite of Satan, pray; spend hours in prayer; rather neglect friends than not pray; rather fast, and lose breakfast, dinner, tea, and supper–and sleep too–than not pray. And we must not talk about about pray, we must pray in right earnest. The Lord is near. He comes softly while the virgins slumber. Is the Lord in the process of renewing the church in America? Are we praying fervently for it? Call to me and I will answer you, and will tell you great and hidden things that you have known! Let us call out to the Lord for revival! In November of 1844, George Müller began praying for the conversion of five specific men. Eighteen months later, the first was saved. Five more years, and the second became a Christian; then, six years beyond that, the third. Thirty six years later, Müller was still praying daily for the remaining two. One of these surrendered to the Lord before Müller’s death in 1898; the other, a few years after Müller died. Thus was the power and resolve of this giant of prayer. A native of Prussia, Müller was converted at 20 (after some earlier scrapes with the law), and at his father’s urging, he studied for the ministry. He became an itinerant preacherand traveled to England as a missionary. 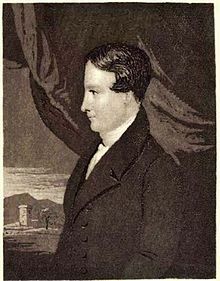 His most remarkable ministry began when, in 1832, he moved to Bristol, where he partnered with Henry Craik in beginning two churches. Müller, who was the less popular of the two, began feeding and biblically instructing the poorer children in the area.A vision for orphan ministry began to develop, and Müller prayed extensively for wisdom in this connection. As was his determined life policy by this time, Müller told God, and no one else, about his needs. Then, as he prayed, the money, supplies, and workers came in. On April 11, 1836 orphans began to be admitted, by May 18 there were 26 children, and seven months later a second house for girls was opened. Müller estimated that, in the course of his ministry, over 50,000 of his prayers were answered, most within the day. And though there were periods with no money in the bank, the children never went without proper instruction and clothes, nor were their meals ever more than 30 minutes late.Prayers were even said over empty plates, with food arriving at the last moment. For the rest of the article…. I saw more clearly than ever, that the first great and primary business to which I ought to attend every day was, to have my soul happy in the Lord. The first thing to be concerned about was not, how I might serve the Lord, how I might glorify the Lord; but how I might get my soul into a happy state, and how my inner man may be nourished…. I saw that the most important thing I had to do was to give myself to the reading of the Word of God and to meditation of it. I love to listen to the testimonies of my American friends who have recently been to Romania to do mission work. They inevitably comment on the prayer practices of Romanian churches. The prayer time blew me away! I couldn’t believe how much time they spent praying! They are so fervent and passionate in their public prayers! I always nod, smile, and – with great affection – recall the years I spent serving in Romanian churches that valued corporate prayer. For the Christians whose identities were forged through the fire of Communist oppression, prayer is an act of quiet desperation that manifests itself in bold supplication. I’ve never seen humility and confidence so perfectly married as when listening to (and joining) Romanians in prayer. Do We Prapare for Our Prayer Times? Study your prayers, a great part of my time is spent getting in tune for prayer. How Much Prayer is in Our Local Church? If an outsider observed your church, would prayer be immediately visible? For many churches, the answer is no. Yet prayer is certainly what anyone would have noticed about the early church or any of the churches during the Great Awakening. Their continual practice of prayer was the primary reason for phenomenal growth and evangelism (17). Lord, may we pray fervently in our churches! May revival come! Teach me to plug into Your power! (What Happens When Women Pray, 24).